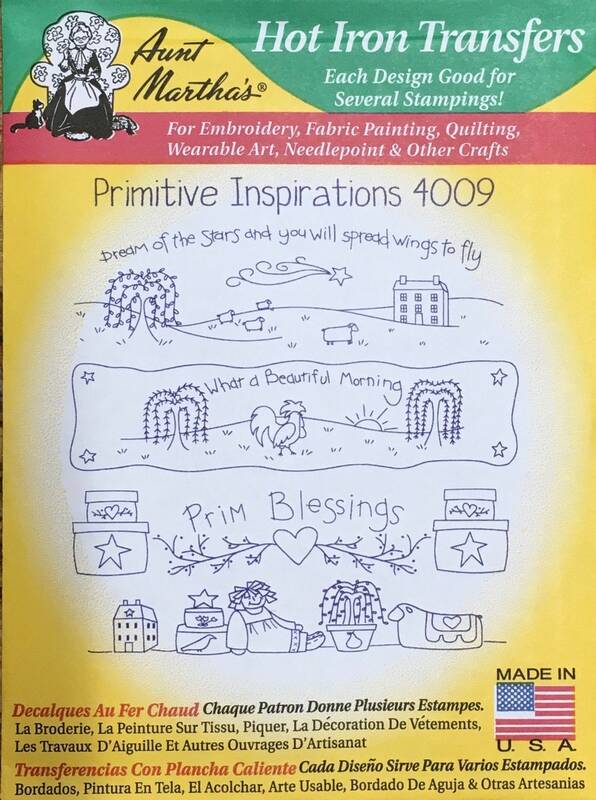 Primitive Inspirations (What a Beautiful Morning, Dream of the Stars and you will spread wings to fly, Prim Blessings) - Aunt Martha's Hot Iron transfers. Each design is good for several stampings. Use these for embroidery, fabric painting, quilting, wearable art, needlepoint, cross stitch, and other crafts! Made in the USA!